If you have a PIN or password set in the Screen & Lock app and you have currently passed the "Lock After" timeframe and you can an incoming call, the caller ID will display at the top of the screen with the caller's name and number, and you will have an icon on the bottom of the screen. Just as when your phone is normally locked and you turn on the screen, just drag that icon up above the "Drag up to answer" line to answer the call or do nothing to ignore it. Finally, if the phone is Touchstone-enabled and is currently charging on a Touchstone when a call is received, you simply need to pick up the phone from the charging dock to answer the call. And don't forget that you always silence or ignore an incoming call by pressing the power button once or twice, respectively, if you do not want to actually answer the call. 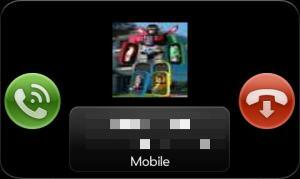 Also, if you have your phone paired with an HP TouchPad and set up to receive phone calls, you will get a similar option at #2 above where you just have to press the green answer button in the phone call notification to answer it. CrackBerry Vodcast 002: Better than expected! BBM Stress Apr 1st at 12 Noon EDT. Be there!! AT&T vs Verizon vs T-Mobile vs Sprint: Which iPhone 5 carrier should you choose? Which countries is Windows Phone outselling the iPhone? Ever since the original Palm Pre was released running webOS 1.0.1, any time you tapped on the screen of a webOS device you would see a "tap ripple" animation to indicate the location of your tap. While it may be nice to know where you tapped on the screen, it can also cause a slight bit of lag on your device, especially in high frame-rate PDK applications. Unfortunately, you have never had any control over the presence of the tap ripple until the release of LunaCE for the HP TouchPad, the homebrew update for the TouchPad by WebOS Ports based off the Open Source "webOS Community Edition" (not to be confused with Open webOS). With a simple toggle in the homebrew Tweaks application, you can now turn the ripple on or off at will. 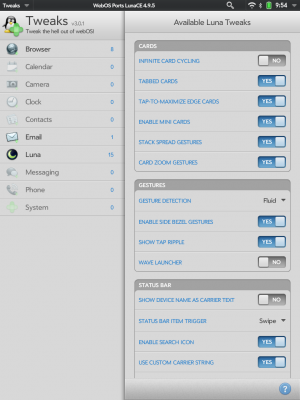 Note that LunaCE is currently in beta so you will need to go through the process to set-up the beta feeds in Preware, which can be found at testing.preware.org. In addition, you will need to have Tweaks installed on your TouchPad to toggle this new feature. Once you have both of them installed, you just need to go to the "Gestures" section of Tweaks and toggle "SHOW TAP RIPPLE" to NO to turn off the tap ripple. 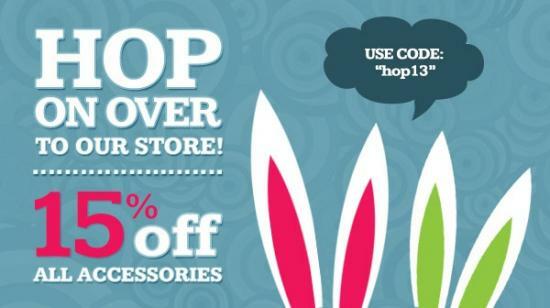 Take me to the webOS Nation Store and let the savings begin! Whenever you tap a phone number within webOS, be it from a contact record, a missed call notification or the call log, the phone app will automatically load up and dial that number for you. While this may be a convenient feature to quickly dial that number, it can also lead to some accidental (and potentially awkward) situations for when you didn't intent to call that person. Luckily, homebrew developer Herrie has created a trio of patches that will interrupt this process and instead of actually dialing the number, it will just prefill the number into the dialer. You will still need to press the big dial button in the Phone app to initiate the call, and you can even edit the number before calling if you need to. 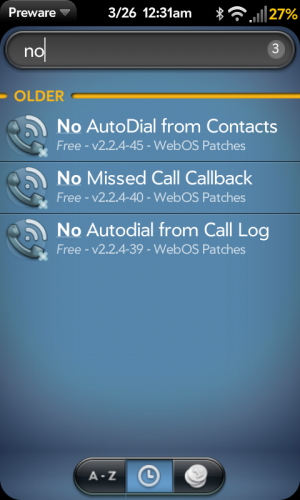 Just install any or all of the "No AutoDial from Contacts", "No Missed Call Callback" or "No Autodial from Call Log" patches from Preware or webOS Quick Install and you should be good to go. Just remember that any time you try to dial a number, even if it's from a Just Type search or by using speed dial, you will still need to press that call button. That extra step takes some getting used to, as you will find yourself immediately putting the phone up to your ear after tapping a phone number and realize that your ear or cheek has continued to dial additional numbers. If you're looking to cut costs on your cell phone contract and maybe upgrade from a beaten old Pre or Pre Plus, you might want to turn some attention to Best Buy and Verizon, as they have a Verizon Palm Pre 2 available contract-free for Verizon's prepaid system for the low low price of just $51.99. That sort of rock-bottom pricing doesn't come around often, even for two-year-old long-canceled smartphones like the Pre 2. There's no immediate indication that this Pre 2 is locked into only Verizon's prepaid service. Verizon actually allows you to bring any Verizon device onto prepaid, and there's nothing about this phone that says it wouldn't work the other way around too. Considering that these Pre 2 smartphones are likely excess stock that Big Red has been trying to unload for the better part of a two years, there likely hasn't been any reprogramming to lock them onto prepaid either. Verizon just wants them out of the warehouse, and Best Buy is all too happy to oblige. Prepaid service for a smartphone like the Pre 2 through Verizon will run you $60 a month for unlimited talk and text with 500MB of data, while another $10 will net you a 2GB data allotment. Not only is the $51.99 Pre 2 through Best Buy the cheapest smartphone offered for Verizon prepaid, it's a damn good price if you were looking to pick up a spare device or two should things go south with your current webOS smartphone. We'd actually say, if not for the fact that it comes with minimal support from HP and app developers, it'd qualify by far as the best smartphone offered on Verizon prepaid, either directly from the carrier or Best Buy. The other smartphones? The Samsung Illusion, running Android 2.3 under curved glass (while the Pre 2 went away from curved surfaces); the HTC Rhyme, notable as HTC's edearingly foolish attempt to create a smartphone "for women" with a silly "Charm Call indicator" meant to hang out of your purse and flash purple when you've got alerts, and the not-that-old-but-still-old-school BlackBerry Curve 9310. Against this motley crew, the Verizon Palm Pre 2 almost stands out as a value superstar. The Messaging app on the HP TouchPad allows you to consolidate all your instant messaging needs into a single app, even including text messages received from a paired cell phone. As you would expect, any time you receive a new message that TouchPad will notify you, either by a vibration or by playing a sound, depending on your sound or notification preferences. However, there is one annoying quirk of the app in that any time you send a message, it will also make a vibration or a sound. There is really no good reason for this, as you would already know that you were sending a message and wouldn't need an alert for it. In typical webOS community fashion, the homebrew community--specifically homebrew-extraordinaire Jason Robitaille--created a simple patch to prevent the TouchPad from alerting you whenever you send a message in the Messaging app. 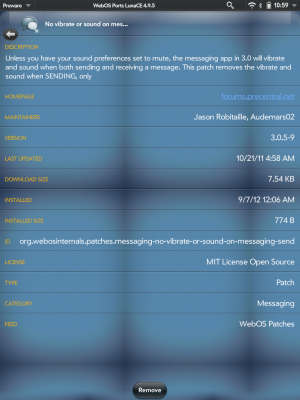 Just install the "No vibrate or sound on messaging send" patch from Preware or webOS Quick Install and you will never be annoyed by those unnecessary alerts again!